This column makes a case for establishing a professionally staffed and well-equipped GST Research Unit (GRU) to manage the complexities and dynamics of India’s GST. GRU could also help realize objectives of expanding tax base of domestic goods and services, and thereby generate revenue efficiently and equitably; minimizing distortions in design and administration of domestic taxes on goods and services; moving to globally accepted destination basis for consumption taxation; minimizing compliance costs, particularly for micro and small enterprises. The GRU could also assist in providing empirical-evidence for understanding the economic impact on households, businesses, sectors, and regions; and in helping to assess the extent to which India is progressing towards a unified internal market. Its expertise and capabilities could also be utilized in the future to cross-link data needed for better administration and compliance of other taxes, such as the income tax. The GRU could be located within the GST council, staffed by a mix of specific domain-based experts, and government officials with requisite expertise. Alternatively, it could be located in Central Board of Excise & Customs (CBEC), to be called the Central Board of Indirect Taxes and Customs CBIC). It has been four months since the Union and State governments in India implemented Goods & Services Tax (GST) from 1 July 2017. The GST subsumed more than a dozen Union and State level taxes on domestic goods and services under it. These had created significant distortions in economic decisions, and had resulted in large administrative and compliance costs. It is thus a nation-wide single sales tax, with the potential to make India a unified internal market for goods and services. GST is India’s first predominantly digital tax, with potential for extensive data analytics for tax policy, risk-based audit procedures, and linkages with data bases for other major taxes, such as the individual and corporate income tax. Among the other characteristics of India’s GST are its dual nature (GST is levied by the Union government, by the States, and on inter-State sales); a shift from origin (where production takes place) to destination (where consumption or supply takes place) basis; establishment of GST Council, whose membership comprises Finance Ministers of the Union and 29 State Governments; a centralized IT platform, called GSTN, or GST Network, operated in a Public-Private Partnership (PPP) mode; and assessment and other aspects of GST allocated between the Union government and the States. Existing sales and related tax bureaucracies have constrained desired allocation of GST tax administration responsibilities between the Union and the States. India’s large population (1.32 billion in 2016, equivalent to 17.7 percent of the global population), multi-speed socio-economic development among various regions, and differing fiscal and institutional capacities among various States, significantly add to challenges of implementing India’s dual GST. 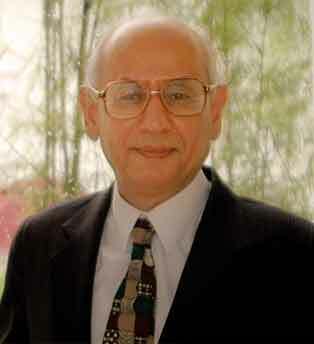 The nature of the GST requires behavioral changes on the part of the taxpayers (greater willingness to be a part of the tax registry), tax administrators (more professional-service oriented approach, and by the policy-makers (need to participate in co-operative, but constructively competitive, federalism for benefit of the country as a whole). Implementation Issues: As may be expected, there have been several issues that have emerged as the GST implementation has progressed. These involve addressing the anomalies in setting rates and in defining the tax base for the GST; addressing the level of compliance costs of the GST for micro and small enterprises, many of whom are in the informal sector with minimal accounting records, and large unrecorded transactions, while facilitating availing of benefits of GST (such as input tax credits and ability to sell to registered GST taxpayers). Addressing the above implementation issues has required frequent changes in the tax rates, tax base definition, rules for micro and small enterprises, for exporters and others. The willingness of the decision makers in the GST council to be responsive to the details is commendable, but too frequent a need to make ad-hoc changes and relying only on tax administrators to address them has two limitations. Indeed, one of the original motivations for introduction of the Value Added Tax (VAT) (similar to GST) in Europe in the 1950s was to assist European businesses to help improve their accounting systems. This is because less well developed accounting systems of Europe as compared the USA were perceived to be constraining competitiveness of European businesses. Inserted in the GST Law and in implementation rules and procedures without sufficient analysis of its implications. Two examples help illustrate this point. The first concerns the coding of various commodities for GST purposes. In India, for international trade transactions, ITC (Indian Trade Clarification) code based on the Harmonized System (HS) of coding is used. This is an internationally standardized system of names and numbers to classify traded products. It came into effect in 1988, and is maintained by the World Customs Organization (WCO). Internationally, six digit codes are used, each 2 digit specifying a class or a subclass. However, In India, 8 digit codes are used because to enable identification of a commodity at a finer level. There are around 96 or 98 chapters containing these codes. Each chapter pertains to a broader class of commodities and contains sub-codes for sub-classes of such commodity. For instance, chapter 14 is for “vegetable painting materials, vegetable products not elsewhere specified or included”. Heading 1401 (implying first heading of chapter 14) is for “vegetable materials of a kind used primarily for painting. Heading 14 01 10 00 (means first subheading '10' of heading 1401) is for “Bamboos”. And this particular sub-heading does not have any further bifurcation, thus next two digits are '00'. For ascertaining the appropriate code for a given commodity, relevant chapter and the relevant code information is needed. The GST rates are specified based on these codes, for the goods supplied whether traded or manufactured. In the earlier law, only for excise purposes, these codes were used as classification system. In VAT law, every state had descriptive schedules, and HSN was not in use. Now traders are particularly facing issues in identifying respective codes. Also, codes and respective rates have been defined casually without examining their finer aspects. 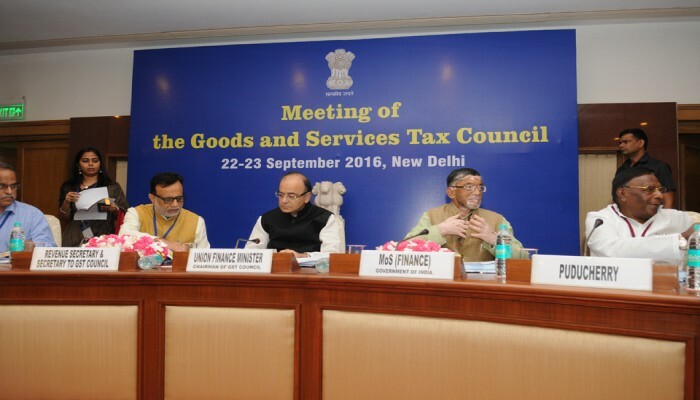 The above has given rise to significant initial implementation difficulties of the GST. It has hence delayed the time period for realizing the full benefits of the GST. The second example concerns the “fitting” of the GST tax rate of a commodity to a rate that existed under previously distorted system. The notion that the statutory tax burden is determined by a combination of a tax rate and tax base, and the fact that GST subsumes several Union and state taxes has not been given sufficient recognition in this exercise. Disproportionate weight appears to have been given to preserving revenue generation from a commodity or a commodity group under static no behavioral change assumptions. For analyzing economic impact of the GST on businesses, households, and the government itself, it is the economic burden, to be estimated by analyzing how economic agents change their consumption, production, pricing and other decisions, compares pre and post GST, by commodity, by sectors, and by income, consumption and other relevant characteristics of households, that is relevant. As experience with GST grows, how the statutory effective rates vary across commodities; and how economic impact varies across households, sectors, and regions will acquire greater prominence. Empirical policy relevant, data-extensive research will therefore be needed. The proposed GRU would be essential in addressing these aspects.